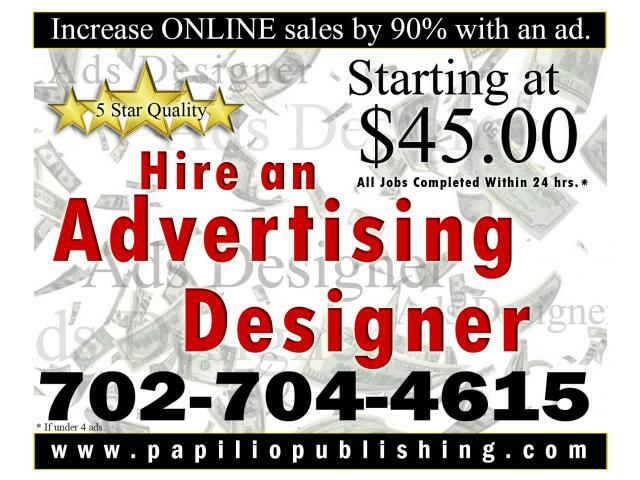 Increase online sales for your business by 90% with an eye catching ad by a professional Graphic Designer. All jobs are completed within 24 hours. I WILL RESPOND IMMEDIATELY IF YOU TEXT.